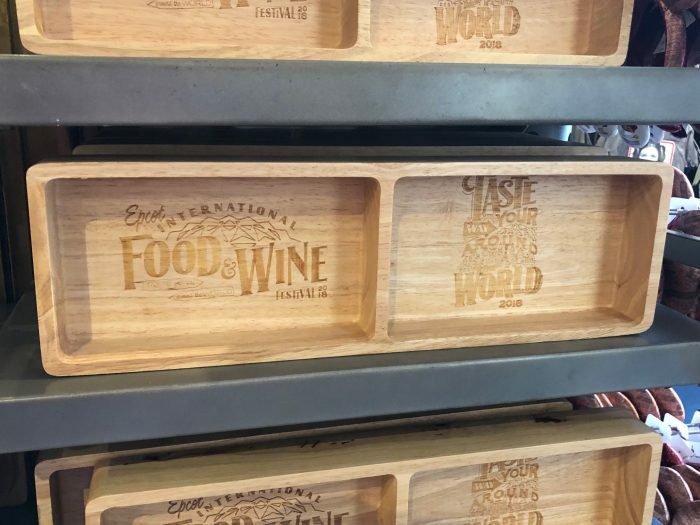 Unless you’re hiding under a rock somewhere, you’ve heard by now that Epcot’s International Food and Wine festival is in full swing. 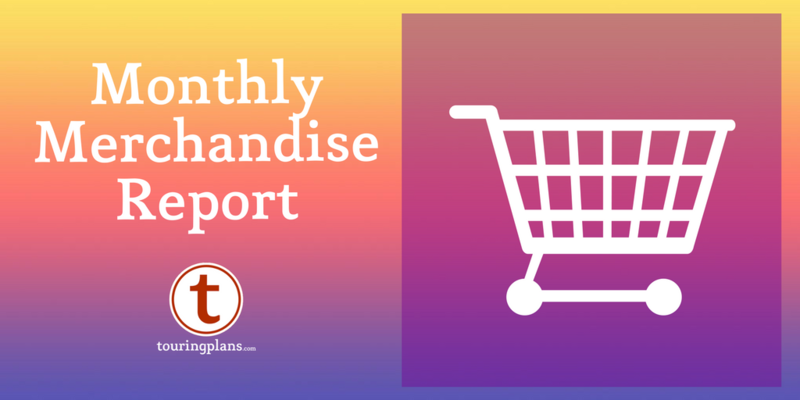 With it comes a whole slew of merchandise that can separate you from your money faster than one of the food booths. 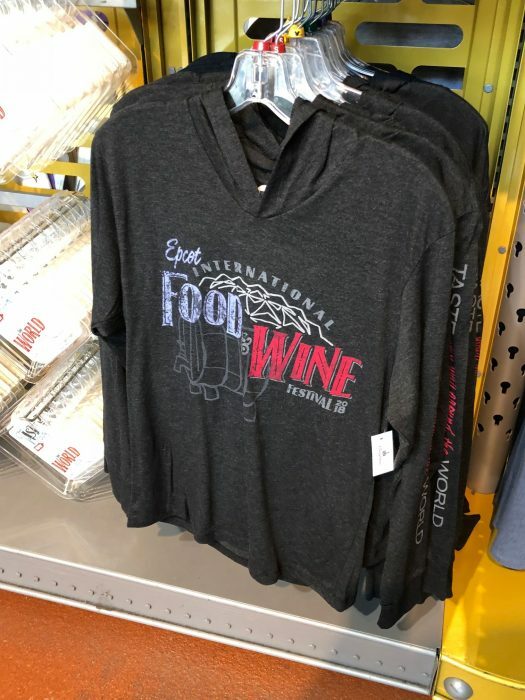 Here’s some of the merchandise for Food and Wine spotted on a recent trip to Epcot. 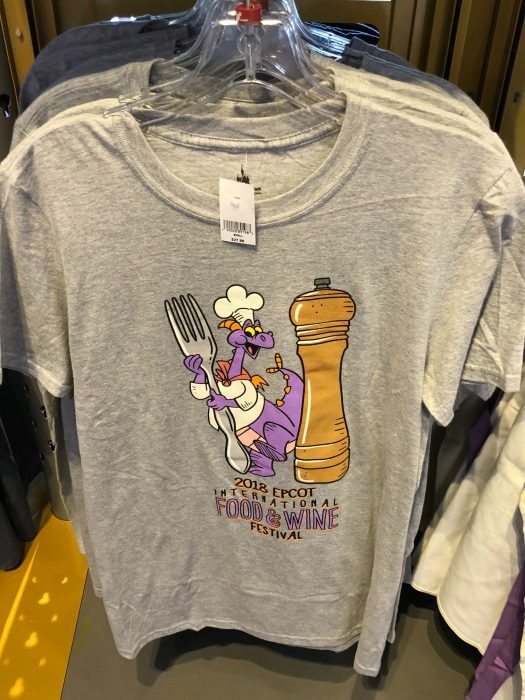 Figment has become the main mascot for Food and Wine (followed by Remy and Mickey), and everywhere you turn you will find something with him on it. Case in point, you’ve got this adorable shirt. 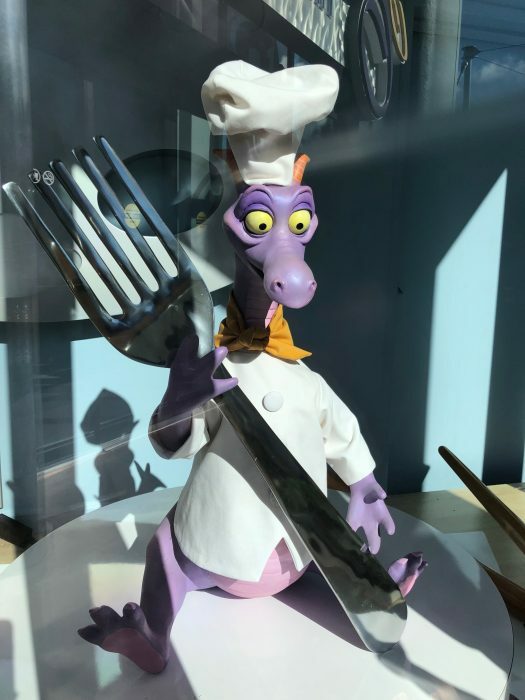 And if you go over to Art of Disney, you can see that Figment in the window as well! 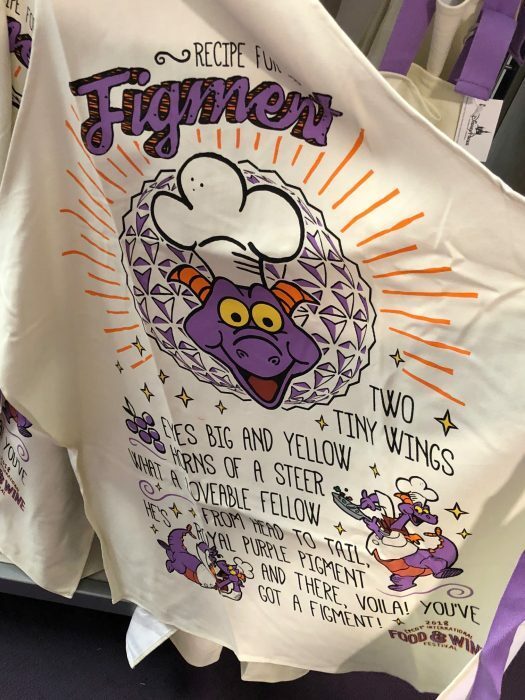 I don’t wear aprons, but I almost bought this Figment one. I mean, really–who wouldn’t want to wear this! And same thing with this coaster set. Can you tell I just love One Little Spark? 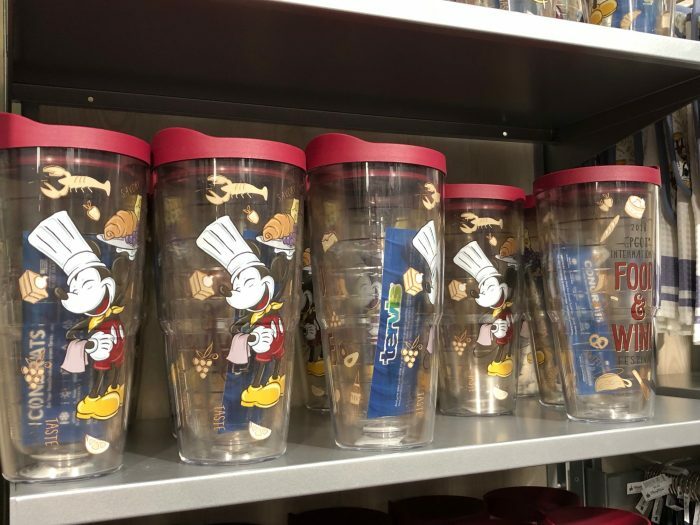 Mickey also ends up on some of the merchandise, like this Tervis cup. He also ends up on this coffee mug. 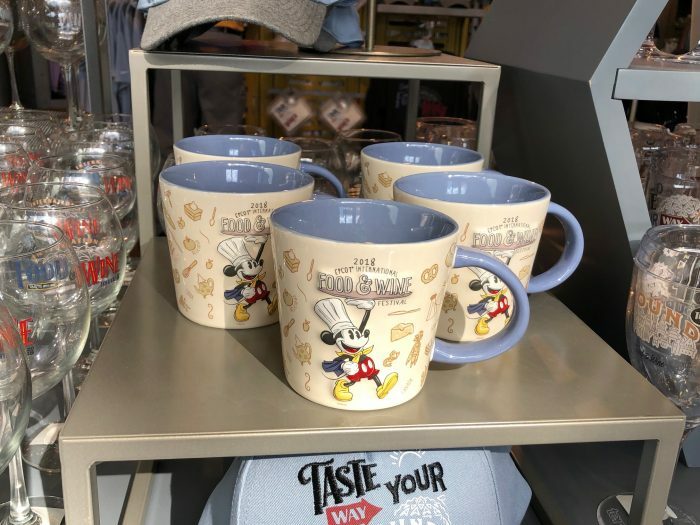 It’s okay–I’m frequently disappointed with Disney coffee mugs, which are too heavy for my preference and often seem to have weird shapes/sizes for the handles. At least this one is decently large, however. 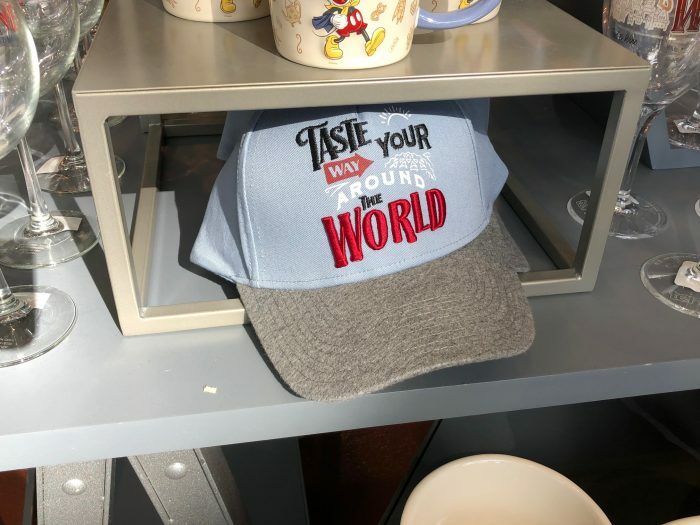 Likewise, I’m not often a fan of baseball caps offered by Disney. But, if you are, here’s one around the festival theme design. 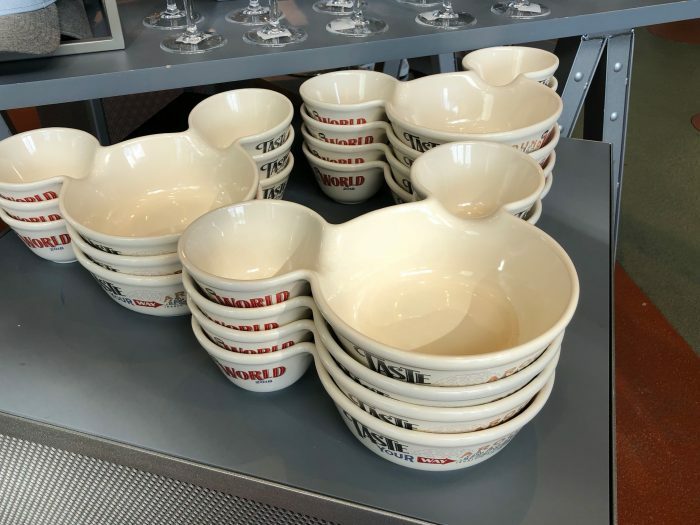 I’m not sure I’d want to use this deep dish pie pan for pie–I’d worry that I’d scratch up the design on the inside. Maybe as a decor piece on a wall? 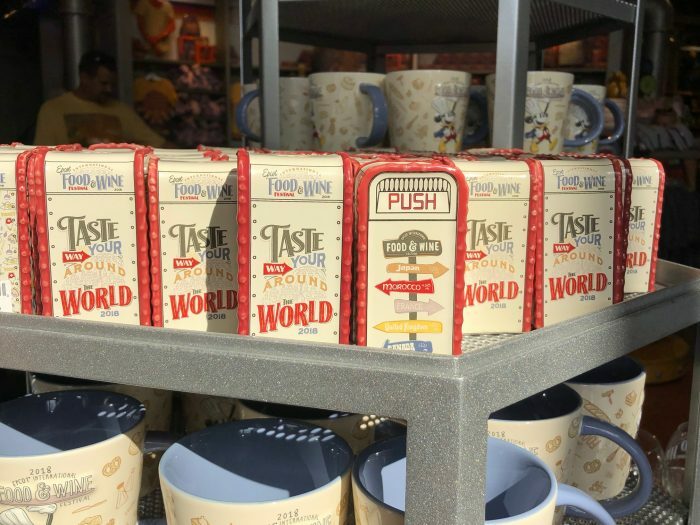 If you need something to go with the pepper mill, you could always get one of the trash can salt shakers for this year. 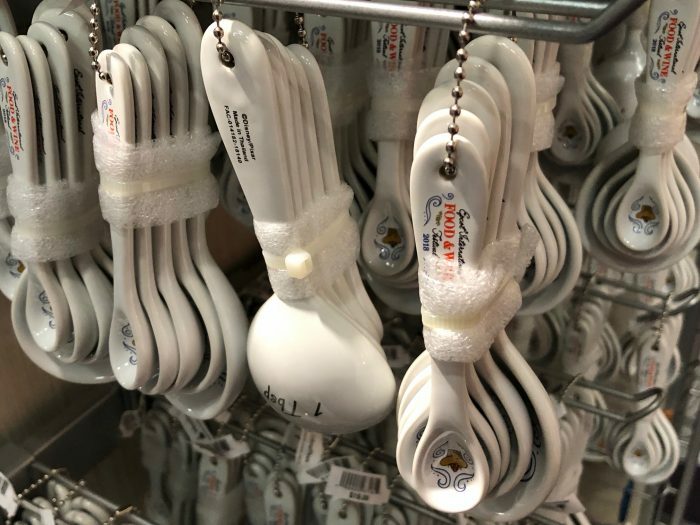 Also on the cute and useful list are these measuring spoons. My big challenge is that my kitchen floors are tile, and I could see myself breaking them at the first use. 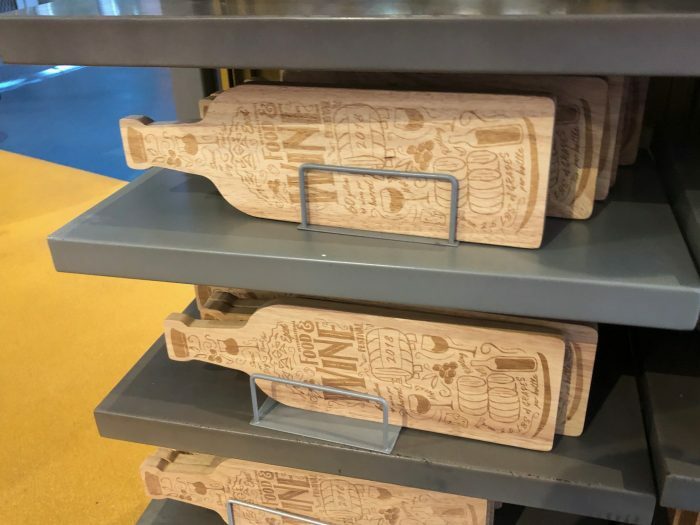 There were some nice wood serving items available. I could see this being used to hold crackers. And this cutting board being used for a selection of cheeses. 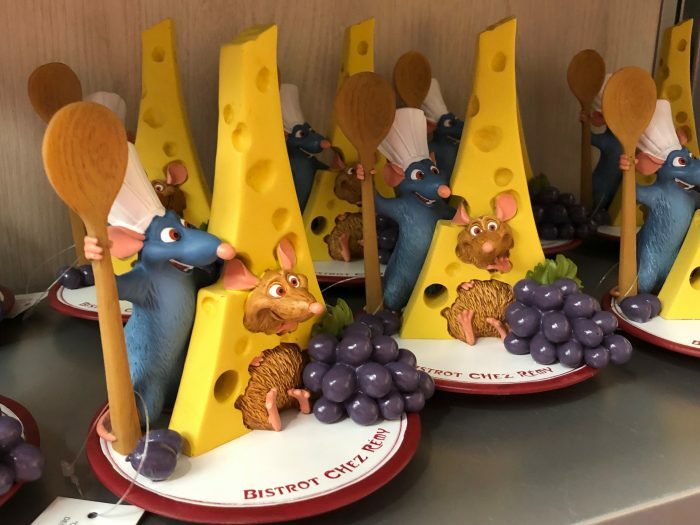 Speaking of cheese, fans of Remy and Emile, I could see this on a shelf in a kitchen somewhere. The official festival art has a very relaxed vibe to it. You can get it framed or just as a poster. 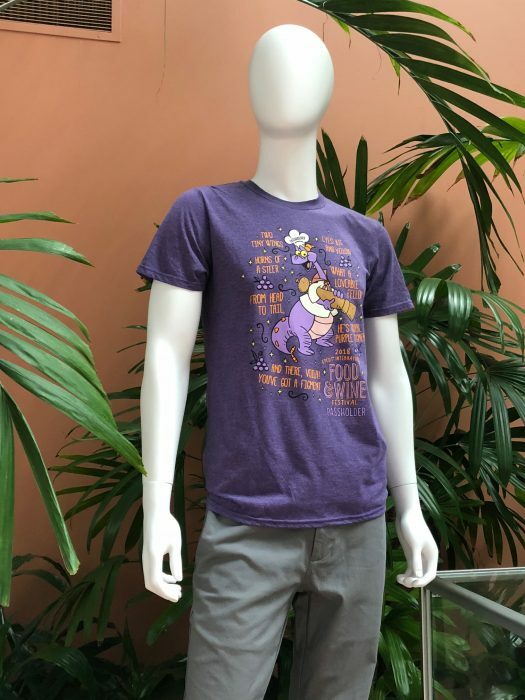 Non-character shirts are also available. 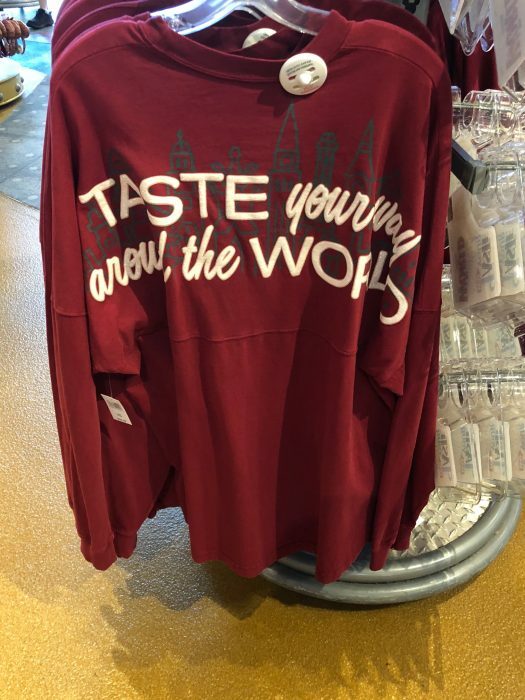 This long-sleeve will probably be more popular when it isn’t blazing hot outside. 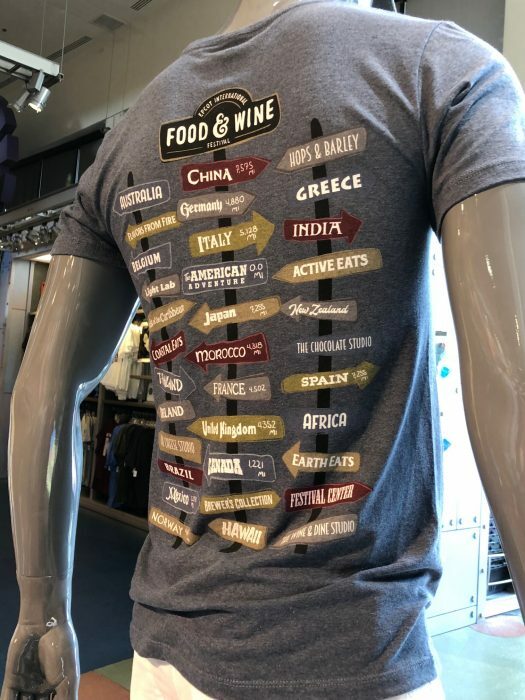 If you want a cool shirt that isn’t covered with characters, this one is actually pretty neat. 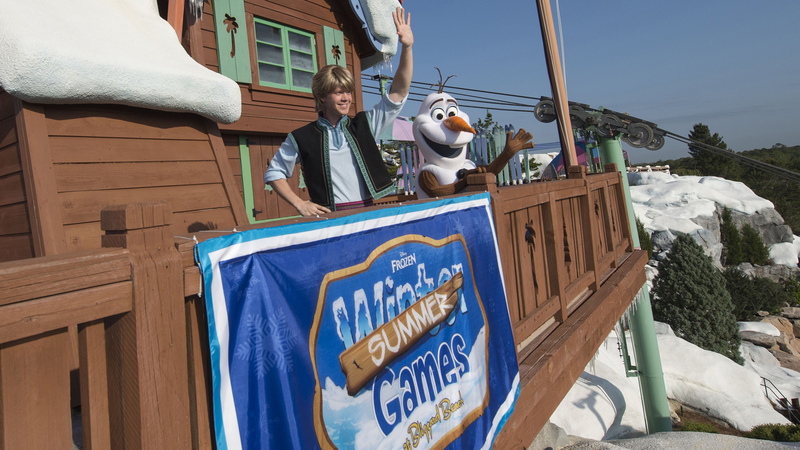 The style on the front is okay, but…. …the miles to the different locations of some of the booths really jumped out at me as just plain cool. And yes, there’s a spirit jersey for this event as well. 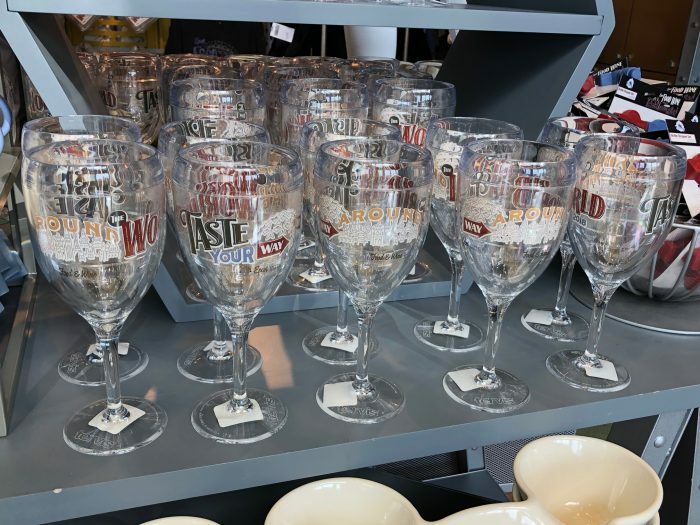 If you’re more into the wine than the food part of the festival, you can buy a commemorative wineglass. 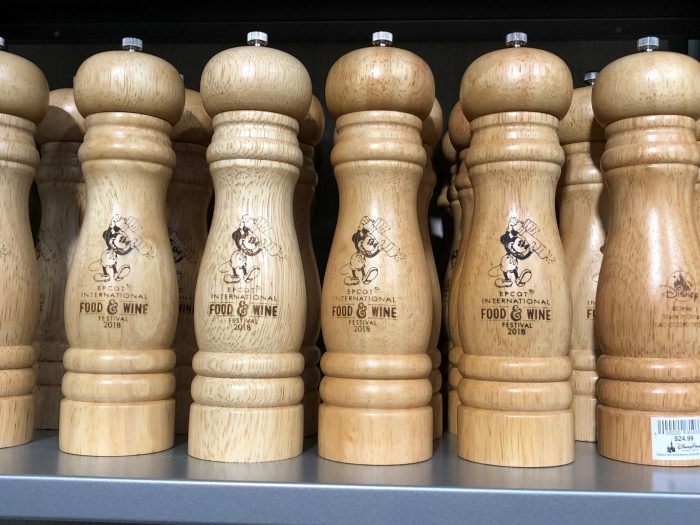 Or, possibly more useful, some wine stoppers. 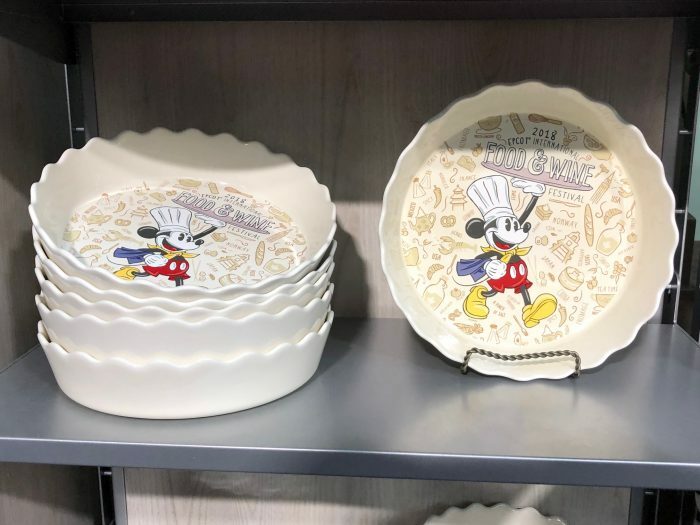 A few years ago, Target had a Mickey collection with a black melamine bowl similar to this. It’s a great design for chips and a couple types of dip. 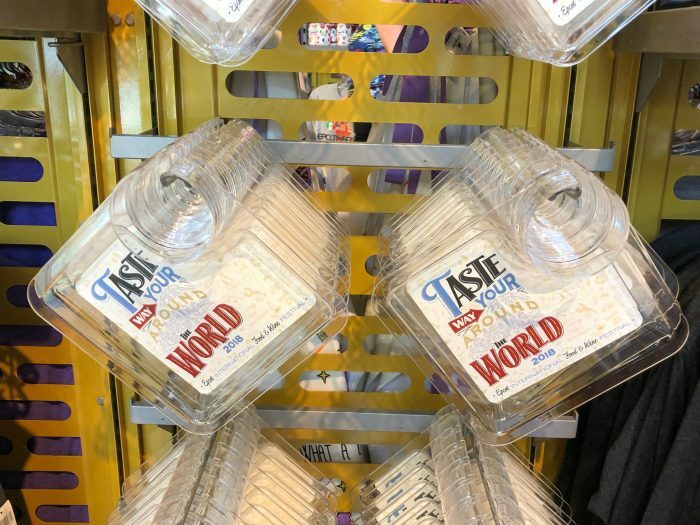 Every year, Disney puts out these little tasting plates that can help you carry around food and a beverage. I have to wonder, do many people use them? 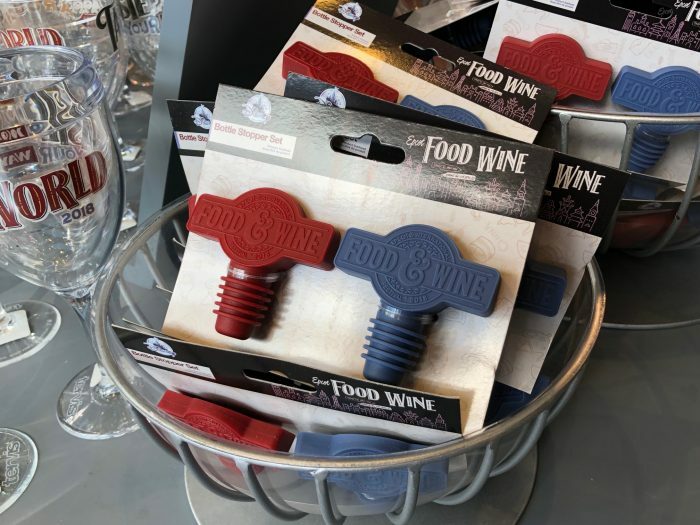 It may just be that I sneak in and out of Food and Wine early in the day, but I don’t think I’ve ever seen anyone using one. 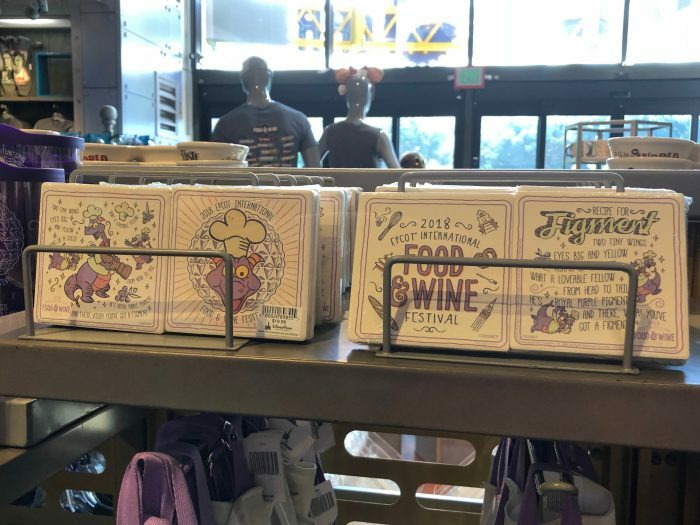 For the Annual Passholders out there, don’t forget to stop by and pick up your magnet, and keep stopping back until you reach the threshold to get your cutting board. “Free” stuff is always nice. 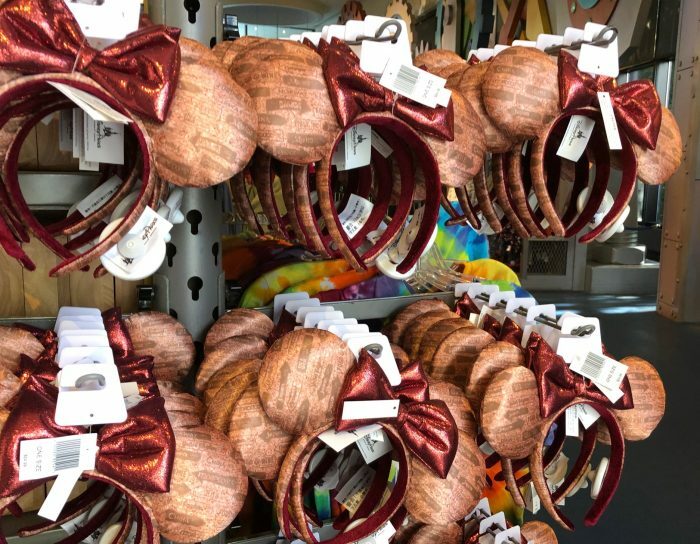 If you’re looking to spend some money to assert your Annual Passholder-ness, however, Disney has you covered. 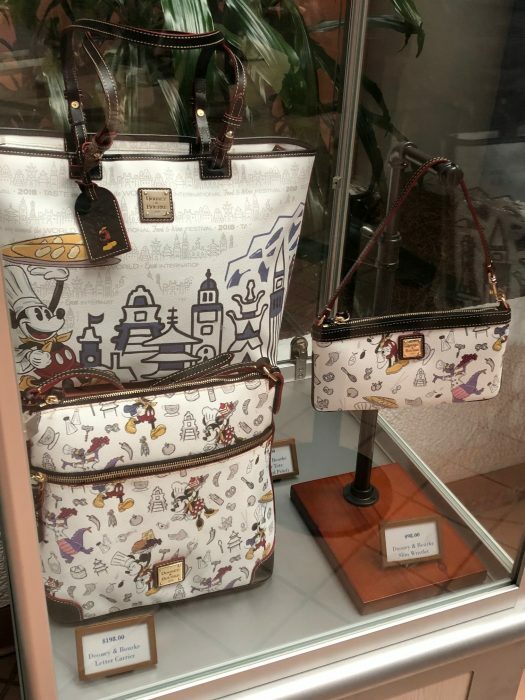 First up, a selection of Dooney bags. 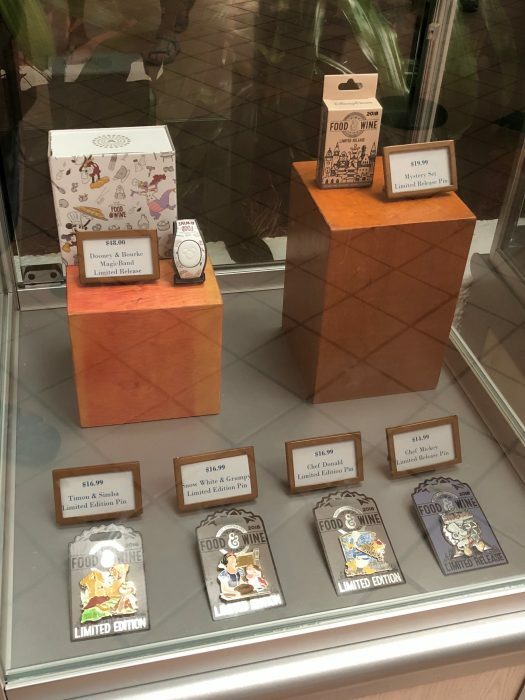 Next, you’ve got pins and a Dooney-styled limited release MagicBand. 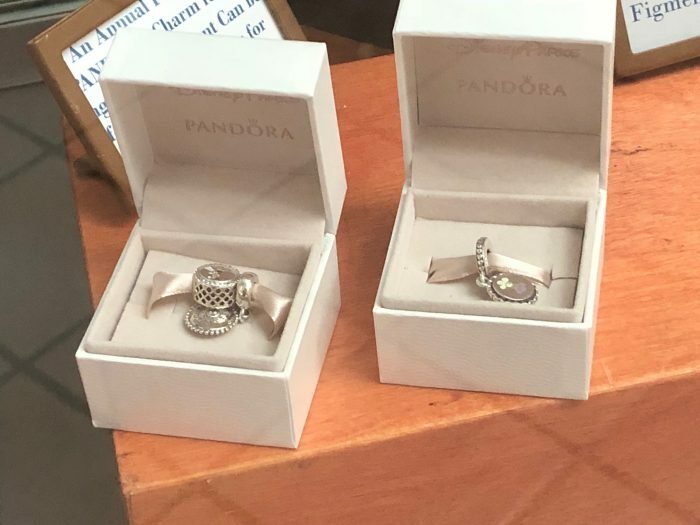 There’s also special Food and Wine Annual Passholder Pandora charms. 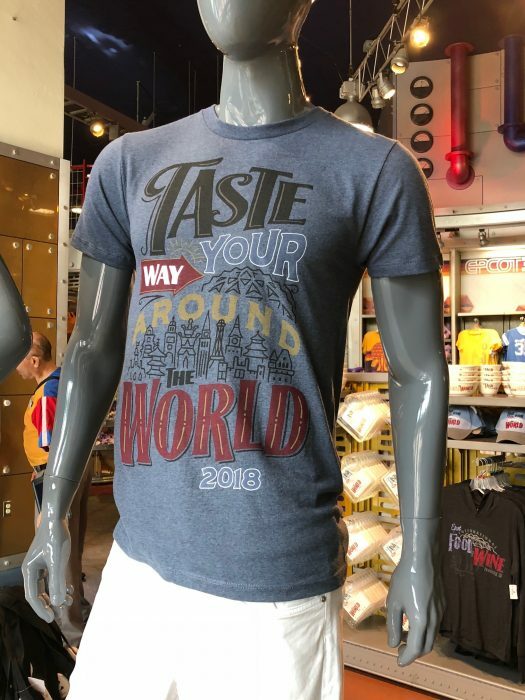 And don’t forget your annual passholder t-shirt. I’m on a t-shirt buying hiatus, but this one gets close to breaking my resolve! 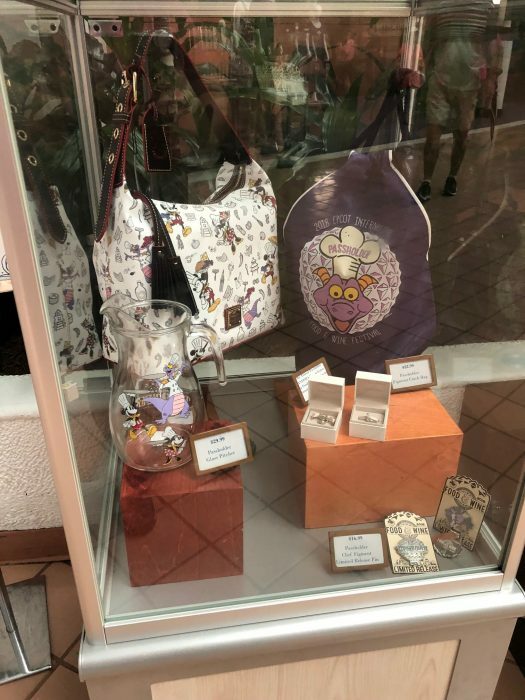 Out of all the passholder items, I really liked seeing the glass pitcher. It’s something different, and that’s welcome to me. One final item that caught my eye. 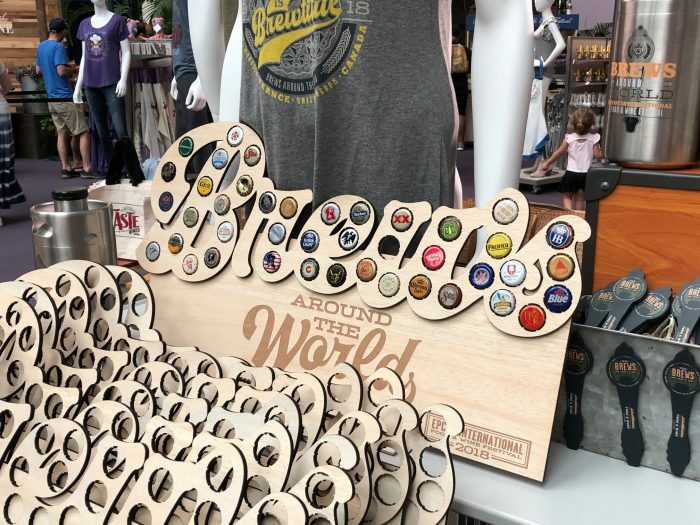 Out of all the items that I saw, this one I think will be the sleeper hit–if you’re a beer drinker, this really is a neat way to make some wall art to show your personal style. 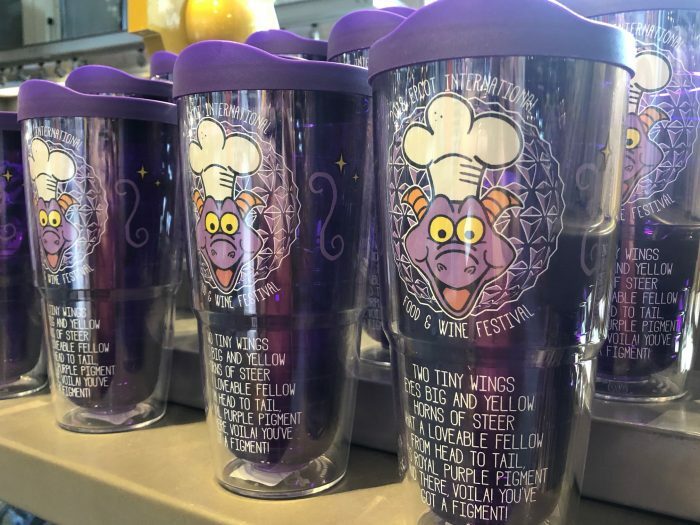 According to signs in the festival center, more AP merchandise will be released throughout the festival, so there’s a possibility that other items will be added as well. Until then, did you see any items that are on your must-buy list, or are you just there for the food (and drink)? Let me know in the comments. Freelance writer and editor, living the dream in Central Florida with my husband, cats, and spirited eight-year-old daughter. 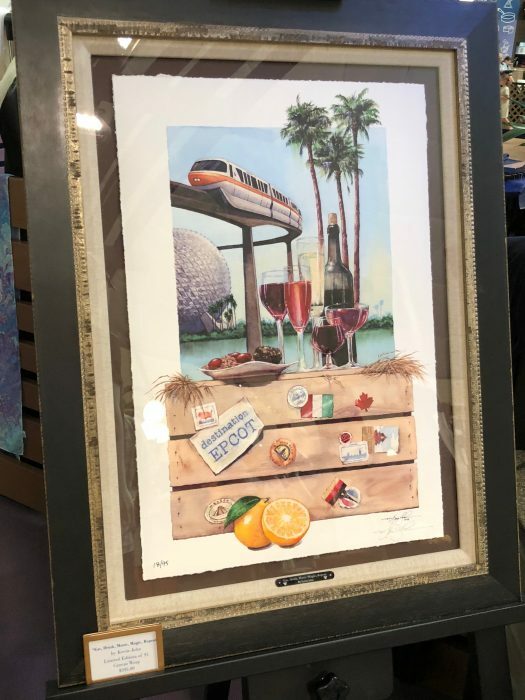 If they really want a true memento of the food and wine experience they would have added little trays of food on top of the tiny trash can salt shakers. Thanks for the merch post! I can’t decide if I like those red & pink ears or not. They’re so loud.